This listing includes the stroller blanket, onesie with a tie or heart appliqué, burp cloth, and matching bib. Perfect baby shower gift! Bib is your favorite team on the front, and minky dot on the reverse. Minky is a wonderful material that is very absorbent and as a mom myself, I love to use as a bib. 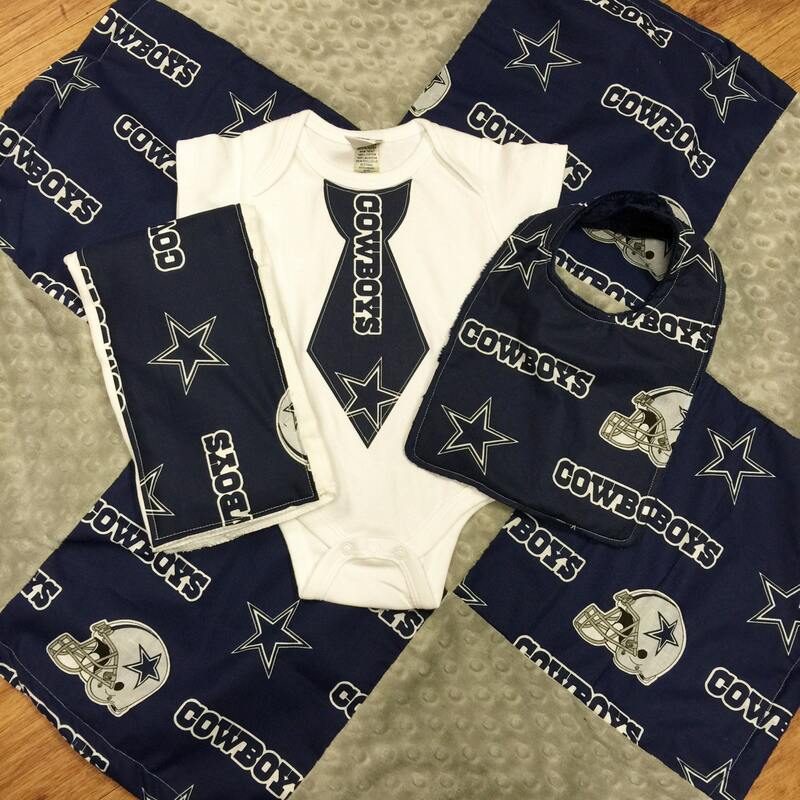 Burp cloth is a birds eye cloth diaper with your favorite team sewn down the center.